Beautiful versatile microfiber stretchy polyester Spandex headband is Canadian made to protect you from the sun, cold and wind while biking or running, working out and enjoying life inside or outdoors. Great for travel as it scrunches up and you can wear it around your neck to accessorize your outfits or keep hair back while sunning or swimming. It dries quickly, with breathable lightweight fabric. 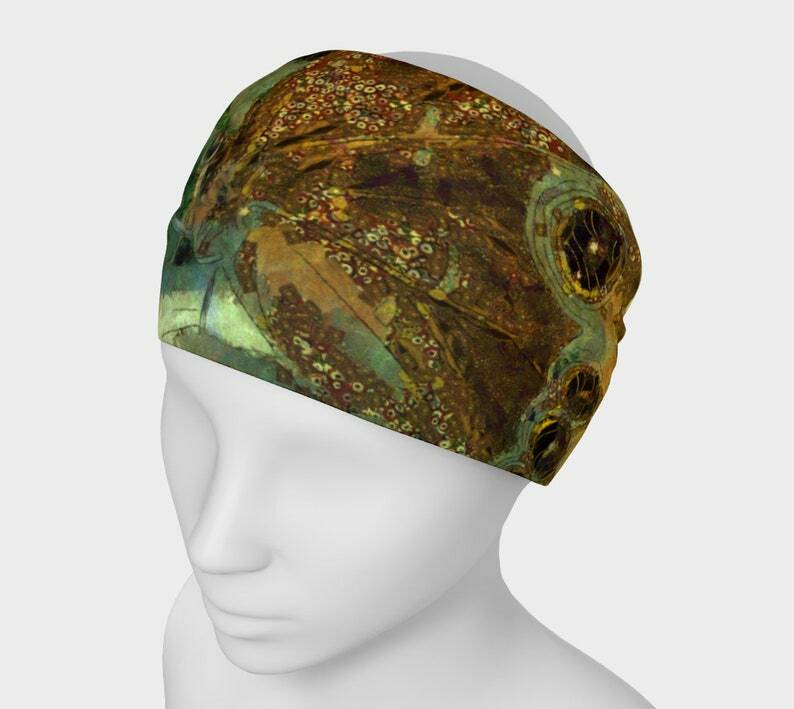 Wear it as a bandana or hairband as protection against the weather or fashion accessory! Printed art is "Golden Butterfly" with nature colors of rich gold and brown tones in this design by Claire Bull. This is a custom made item with my artwork, created when you order it. Once the order is placed, manufacturing begins and each item is made to order. Images are as accurate as possible but monitors vary and each item is handmade so variations can occur. The items are all Canadian made with attention to detail and environmentally friendly products. Art meets Fashion through creativity and passion.